COATS Bangladesh Limited is the one of largest multinational organization in Bangladesh. Its produce and Distribution Sewing thread. The objectives of the report are to know the warehouse management operation, handling of Warehouse Management of COATS Bangladesh Limited. The report uses data both from primary and secondary sources. To get the primary information for this report discuss with people and face to face interaction with the operation team. Secondary information will be also acquired from annual report of COATS Bangladesh Limited, their published brochures, and web sites of the COATS Bangladesh Limited. The report employs descriptive and analytical methods to achieve the objectives. Warehousing is no longer the soloed operation ignored by those in the supply chain who do not directly toil within the four walls of a distribution environment. Companies are expecting more from their warehouse and distribution centre operations. They demand greater visibility into order, inventory, and task statuses inside the warehouse. And they expect improved productivity to support sales growth, channel expansion, and increasingly tailored fulfilment services for customers. It’s basically a function of storing goods in between the time they are manufactured and the time they are delivered to the customer. In practice, the goods are produced in long production runs and they are shipped to in large lots to the storage areas or warehouses closer to the market. In the post second world war period, the general trend for the supplier has been to store the goods in order to meet the demand in the market which is always fluctuating. The delivery time has been very essential tool for the businesses as a marketing technique. The idea has been to provide shorter lead times instead of reducing the price in order to attract the customers. This marketing strategy is one of the main reasons for the rapid growth of the concept of warehousing globally. The objects of this report are to give an overview and to understand deeply the concept of “Warehouse Management”, which is defined and interpreted in theory and practice. In order to get an overview, both theoretical and empirical studies are conducted. The theoretical study is conducted by carrying out work on relevant literature through textbooks, scientific articles, internet etc. In the empirical study, we investigate the present state of the warehouses and examine whether the case companies utilize the practices that the literature points out based on theoretical background. The empirical study is implemented by interviewing warehouse managers and work on there. To apply theoretical knowledge in to practical area. To compare practical warehouse system with theoretical approach. Methodology is the process, technique, or method of observation, survey and analysis. It involves the stages starting from the identifying data sources to analysis of data. There are three stages of methodology in this regard. In order to prepare the theoretical framework of the study were consulted industrial data has been collected from primary and secondary sources. When an investigation uses a data that have been previously collected by someone else, then the data is known as secondary data. I collected most of my secondary data from audit reports, prospectus, magazines etc. In my report I fried to minimize the usage of secondary data as much as possible. I have used secondary data only in the cases where it was not possible for me to use primary data. Raw material and component warehouses: It hold raw materials and always in a position to induct raw materials onto a manufacturing or assembly process. Work-in-process warehouses: This warehouses hold partially completed products and assemblies at various points along production line or an assembly line. Finished goods warehouses: It holds inventory usually to balance the variation between production schedules and demand. Normally these warehouses are situated near manufacturing plant, and it is characterised by the flow of full pallets in and full pallets out, assuming the product size and volume authorizes pallet-sized loads. Distribution warehouse and distribution centers: Distribution warehouses accumulate products from various manufacturing points for combined shipment to the common customer. Normally, the warehouses are located central to either the production locations or the customer base. Product movement represented by full pallets or cases in and full case or broken case quantities out. Fulfilment warehouses and fulfilment centres: It receives, pick, and ship small orders for individual consumers. Local Warehouses: These warehouses mainly for the purpose of responding to the customer demand. Frequently, single items are picked, and the same item is shipped to the customer every day. Value-added service warehouses: Key product customization activities takes place like packaging, labelling, marking, pricing, and returns processing. Centralization generally refers to the allocation of the warehousing services to one particular business unit which provides services to the whole firm. The decisions are made at the central location for the entire network. The main characteristics of a centralized approach are control, efficiency and good economy. De-centralized warehouse: Decentralization approach gives the individual business units autonomy and independency over their own resources without any major considerations over the remaining units unless there is a necessity for the overall organization policy. In this approach each facility identifies its most effective strategy without considering the impact on the remaining facilities in the network and this leads to the local optimization. The main characteristics of the decentralized approach are empowerment of individual business units, flexibility, and service orientation. They provide as good service as the centralized warehouses in terms of customer service level. The warehousing concept takes us way back to the creation of granaries to store food, which was stored for drought and famine and this food was available for purchase in the conditions of emergency, famine, drought etc. As the European explorers began to discover new shipping trade routes all over the world, the importance of warehouses grew for the storage of products and commodities which were brought from far way places. The ports were the main locations of the warehouses, since majority of the trade between the countries was carried by ships. In early days man used to store excess food and keeping animals for emergency surplus. As the civilization developed, local warehouses were introduced. Normally merchandise is stored in connection with shipping, trading, and manufacturing activities. During the Middle Ages improvement in human knowledge gave rise to warehousing to handle the storage of shipped items. The first known major commercial warehouse was built in Venice, a centre of major trade routes. In late 1800’s in the United States, transportation between port cities and inland cities were effectively provided by railroad. Freight cars were used as warehouses on wheels, and were especially used in grain harvest season. Shortages in freight cars induced the railroad companies to partition the transportation and warehousing functions. During this time period because of monopoly on both warehousing and freight by railroad companies favoured large corporations, giving them free warehousing services with the use of the railroads. The warehousing facility was provided as an additional service to transportation, and the service so provided was part of the clearance terminal. The word terminal describes the warehouses were located in the centre of the city, normally close to the wholesale market district and railroad depot. Tompkins, Smith, 1998). Warehousing systems have seen a continuous growth throughout the history, they have been moving forward from local storehouses during the middle ages to multimillion-dollar facilities. In 1960s and 1970s in the US automated warehousing meant automated storage/Retrieval systems (AS/RS). The main factor which gave rise to this development was the doubling of the value of business inventories between 1962 and 1972 and the value was tripled between 1972 and 1982. After the late 1980s the AS/RS systems became obsolete and more emphasis was paid on reducing inventories, small batch production and Just in time delivery. (Tompkins, Smith, 1998). Due to the changing trends in the businesses, warehousing and distribution operations should adopt to the emerging changes and growing needs of the customers. The term ‘Globalization’ brought rigorous changes in the field of logistics. The distribution operations now pay more emphasis on fewer inventories, smaller order sizes, larger SKU catalogues, quicker order turnaround, increased customized packaging and value adding services. Once the businesses concentrated only on local distribution centres and now all the companies give more importance on having more globalized distribution centres, and instead of having single network channel, they are having multiple distribution channels. In order to cope to these changing trends every second, most of the companies have deployed new technologies such as Warehouse management systems (WMS) and Transportation management systems (TMS) and some have decided to redesign the processes and facilities to meet the emerging requirements as well as to reduce costs and improve service levels to the customers at the same time. Some large scale businesses have gone one step ahead and decided to deploy automation of the whole warehousing operations. Some have already opted to outsource all their warehousing operations to third party logistics provider (3PL). (Hompel,Ten.,Michael ., Schmidt, Thorsten., 2007). The main objective of the study is to obtain a clear idea about the warehouse management operation and specially supply chain management in COATS Bangladesh Limited. I have worked in receiving department, packing department, invoice department and worked in distribution department. I tried to earn a clear idea of different sectors. Ultimate customer satisfaction on warehouse management system of COATS Bangladesh Limited. I observed that unskilled persons are available in CBL; they are not able to teach us various aspects. There are also limitations regarding memory and knowledge of the respondent. It is difficult to collect the existing data because of company secrecy. The company authority was very busy, so they could not give me enough time for discussion about various problems. The recording system of the annual report is not sufficient. Due to limited time it was not possible to prepare the report properly. Unavailability to required published documents. In spite of these limitations it can be said that, such limitations are common to almost all data base study. Yet the researcher has tried his best to minimize the profitability of errors. However the researcher believes that after taking possible precautions and findings have been affected very little by the limitation of the study. Successful organisations must be excellent in both of these areas, so the importance of Warehouse Management and the tools available to do the job right will continue to expand. In its journey of more than 200 years, Coats has established its manufacturing plants in more than 70 countries and expanded its business operations in over 150 countries, worldwide. In 1990, Coats expanded its business horizons in Bangladesh and started its operations as Total Thread Bangladesh Ltd. In 1997, a global merger with Coats and Total Thread formed which is presently recognized as COATS Bangladesh Ltd. At present, COATS Bangladesh Ltd has 2 state-of-the-art Dyeing plants established in Chittagong and Gazipur and has a warehouse in Gazipur. With over 1000 dedicated employees, COATS Bangladesh is one of finest examples of enriched Warehouse Management. At COATS Bangladesh, people do not stand on their position. Thought, contribution and teamwork are valued over job titles and status. They operate on informal basis with one another. Coats see ourselves as members of a global team, all with something important to contribute. Coats know what they are doing, they know what to do, they keep Coats promises; globally Coats recognize that customers pay for actions, not words. Coats commit ourselves to understand and improve customer profitability. It’s take social, ethical and environmental responsibilities seriously. Its use there capacity to imagine, innovate and improve. It’s take considered risks. It’s competing as a team. Coats are proud of Coats and there collective achievement. Coats view the future with confidence. It’s expected there work environment to reflect a sense of community while nurturing a commitment to innovation. You will find a culture that encourages open dialogue and the sharing of ideas, that prefers conversations over presentations. Coats are comfortable, yet professional. they are casual, yet respectful. Coats plc has its roots in the very beginning of the industrial revolution, dated back to the mid 18th century. Coats family established its business in Paisley, Scotland in 1755. In 1896 Clarks, another thread manufacturer, merged with Coats. Originating in Paisley, Scotland, both Coats and Clark families were the pioneers of sewing thread and embroidery thread manufacture and distribution in the UK. Coats manufactured sewing and crochet threads, including mercer crochet, while the Clark family manufactured Anchor embroidery threads. In the 1980’s another large textile group Vantona Viyella merged with Coats and subsequently acquired Total Group another famous UK name. Every four hours Coats makes enough thread to reach the moon and back, that’s an amazing 770,000 kilometres, or 478,000 miles. Coats thread has been to the moon and back as part of astronauts’ space suits and it’s also landed on Mars as a crucial component of the air bags that cushioned the landing of NASA’s probe. Coats can delivery there product on moon at present (if customer wants). Looking ahead there are many exciting developments in the world of textiles and distribution. Fact often follows fiction – especially science fiction! Anyone who has seen the blockbusting movie, Minority Report, will realise that intelligent materials could be tomorrow’s reality. Part of our challenge is to anticipate the needs of the future and we look as far as 25 years ahead and position ourselves to work with other forward-looking companies. We view our future with confidence. Coats is the world’s leading producer and supplier of sewing thread used by clothing companies, footwear manufacturers, furniture makers, car seat upholsterers and people who sew at home. We are the only company in the world with the capability to produce thousands of thread products to high quality standards and in colours specified to meet the unique requirements of customers. Today, we have manufacturing facilities in 68 countries in the world and our products are marketed in 150 countries. Our global reach means we have the capability to ensure swift product delivery anywhere in the world and (moon). At COATS have a clearly defined vision? ‘COATS will be the leader in value added engineered yarns and threads for industrial and consumer use. COATS will develop and supply highly complementary products and services, where they add significant value to customers. Our mission is to provide excellent solutions to our customers and partners that are cost-effective, socially responsible and environmentally friendly, by maintaining the highest safety standards and applying the best industry practices with optimal resource utilization. There may be no better place to launch a supply chain career than at Coats Bangladesh. That’s because they have structured supply chain function in a way that enables any one to achieve a comprehensive understanding of the supply chain. Any one will be exposed to all areas of logistics, including sourcing & warehouse management, planning, transportation, distribution, customer service all within the context of a global company on the leading edge. Any one will be contributing from day one, participating in the management of Coats Bangladesh’s supply chain. It may be in the area of sourcing & supply management, a planner, shipping, warehousing, distributing. In all cases, any one will be using his/her analytical, problem solving and communication skills to balance the cost, quality and service trade-offs involved in everything from materials purchasing to product delivery. Coats Bangladesh (warehouse) offer warehousing and distribution solutions all over the country. a) Access to various information, as it is the secrets of this report success, so I have to accomplish this study depending on some limited materials. b) I also face some problems because lack of sufficient books in COATS Bangladesh Limited (Warehouse) Library about Warehouse Management. c) Because of time and cost constrains, it is not possible to generate a representative sample size and also to use simple random sampling procedure. d) Lack of time and resource constraint has also limited the scope to conduct the survey smoothly and so as to prepare the internee report. e) Experience makes a man efficient such kind of research of research activity is done by me for the first time. That’s why inexperience creates obstacle to follow the systematic and logical research methodology. While conducting the survey I went through many good and bad experiences. To collect data I visit the employees of the COATS Bangladesh Limited (Warehouse). Most of the employees very helpful. They co-operated with me and were ready to lend a hand. On the other hand few employees were totally opposite as most of them were not willing to help me at all and was very rude to me. They were also having a kind of fear while answering the questionnaires. I had a great experience meeting many well known celebrities and proprietors of big organization while I was conducting the survey on the warehouse. Many of them were very impressed looking at my questionnaire and also helped me taking further survey on the warehouse. Except from the usual works I had interactions with the managers, officers and my colleagues. In last three months I had attended training session and some lecturers that were given by the managers. Beside these, I had informal discussions with the managers regarding my problem on warehouse management, my mistakes and also about my report. The managers were very much helpful regarding my problems and other situations. An enthusiastic warehouse manager with drive, determination and a proven ability to oversee the efficient receipt, storage and dispatch of a wide range of goods. Having the necessary management skills required to administer, improve and develop a warehouse to achieve maximum efficiency, effectiveness and quality of service. A hardworking, pro-active individual with an upbeat positive attitude, who also has extensive knowledge of working practices, recruitment, pay, conditions of employment and diversity issues. 4.4.1 Education Sector – Warehouse Operations Managers need to completion of a college or university program in business administration or in a discipline related to facility operation and maintenance, or an equivalent combination of technical training and experience in administration or maintenance. 4.4.2 Training – To manage require some on-the-job training; however, typically these occupations require that the individual will already have the necessary skill set, knowledge, work-related experience, and/or training. 4.4.3 Related Work Experience – Several years of progressively responsible experience in facility operations or maintenance are usually required. Plan, develop, organize, direct, manage and evaluate the operations and budget of warehousing facilities. Plan, develop, and implement warehouse health and safety, and security programs and activities. Develop warehouse operations policies and procedures and communicate this information to staff. Develop key performance indicators to measure the effectiveness of the warehouse operation. Remain current with latest warehouse operations technology systems and procedures. Plan, organize and direct warehousing related administrative services such as signage, cleaning, installations, maintenance, repair, safety inspections, parking, and snow removal. Perform day to day administrative tasks such as maintaining files and processing paperwork. Prepare or direct preparation of correspondence, reports, statistics related to the warehouse operations area of responsibility, and operations, maintenance, and safety manuals. Interview, select, coach, train, manage, and appraise the performance of warehouse and supervisory personnel. Mentor selects warehousing operations staff. Develop constructive and cooperative working relationships. Problem solves, negotiate, and address staff challenges. Confer with department supervisors to coordinate warehouse activities, such as production, sales, records control, and purchasing. Review contracts, invoices, work orders, consumption reports, and demand forecasts to estimate peak delivery periods and to issue work assignments. Ability – The following abilities are important to the role of Warehouse Operations Manager: leadership, change management, oral expression and comprehension, speech clarity and recognition, written comprehension, problem sensitivity, flexibility, inductive and deductive reasoning, and information ordering. Empower employees to provide service to others and work with co- workers in a friendly environment. Work Style – The following work styles are attributable to a Warehouse Operations Manager: integrity leadership, tenacity, dependability, attention to detail, set personally challenging achievement goals, initiative, cooperation, stress tolerance, adaptability/flexibility, and persistence. Remember health and safety regulatory requirements and other associated regulatory requirements. Documents produced and/or used may include graphs, charts, lists, tables, schematics, drawings, schedules, labels, warning signs, information signs, and etcetera, in both print and non-print media. 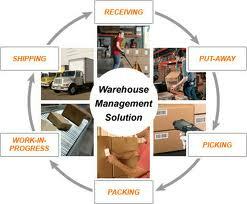 It is the setup operation for all other warehousing activities. Receiving the merchandise properly is the key to warehouse operations, because it will create problems in put away, storage, picking and shipping, if the damaged or inaccurate deliveries are allowed into the warehouse then the same has to be shipped. vii) Automated storage and retrieval (ASR) machines. Enhanced learning may be acquired as part of regular work activity, through training offered in-house, through reading or other forms of self-study, or through off-site training. Ongoing learning occurs through participation in professional organizations, seminars, formal courses, conferences and trade shows. Skills may be upgraded by taking management classes through educational institutions. 5.1 SWOT Analysis of COATS Bangladesh Limited (CBL). Total solutions under one roof. Company operates through its experience and stronghold of the established network. Strength in resources, skills or other advantages relative to competitors. Powerful brand image and market leadership. Ability to raise long and short term capital. Employee focus due to security drift. Technological changes and improved relationship. Developing market and growth potential of Bangladesh. A market that is led by a weak competitor. Technological changes and new revised regulations price war. Border clearances for transit of goods to neighbouring countries. From the above SWOT we see that CBL has many strong and weak sides internally and externally. But it should always focus on customer satisfaction and try to be a standard quality all over the country. CBL can adopt diversification strategy in expanding the business into insurance company. The CBL uses their strengths and capabilities as cornerstones for strategy. The CBL pursues those opportunities best suited to bank strengths and capabilities. The CBL correct weaknesses and deficiencies that impair pursuit of important market opportunities or heighten vulnerability to external threats. Top performers are discovering methods to increase throughput and efficiency, while keeping costs flat or lowering overall warehousing costs. Across the board, companies that are above average warehouse performers in their industry – classified as Best in Class companies – outstrip their average and laggard counterparts by logging between 97% to 99% on-time complete shipments to customer request date while others struggled to fill orders as effectively. Further, Best in Class have been much more successful than their peers at decreasing their warehousing costs and lowering customer order fulfilment times. The Best in Class point to an extensively proliferated warehouse visibility infrastructure that allows them to share information throughout their operation and across the company. Another respondent points to visibility as a means to improvement. A senior vice president in supply at a large retailer indicates that “faster information access to critical users coupled with extended shipping-receiving hours,” led to a decrease in cycle times between 11-20%. The Best in Class are nearly twice as likely as Average and Laggards to comprehensively train warehouse associates on several tasks as opposed to ad hoc or no formal training. The Best in Class do not use spreadsheets to run their warehouses; rather, they rely on an automated WMS solution. The Best in Class are more than twice as likely to have an RFID tagging support sys-tem versus their peers, further indicating their belief in the importance of technology for high-performing, customer-centric warehouses. In addition to using a WMS, the Best in Class are also more likely than their lower-performing peers to be using an up-to-date solution – typically only one to two versions old – ensuring that these enterprises have access to the latest productivity features from their WMS vendor. The Best in Class have also invested in other types of warehouse technology that support agility and speedy throughput. The Best in Class, typically, have invested or plan to in-vest within 12 months in labour management capabilities, slotting, dashboard systems, RFID, and other technologies. The industry average companies and Laggards use these technologies to a much lower extent. The following are a list of actions respondents report taking to overcome their warehouse productivity barriers. Keep your warehouse floors free from water, oil, cleaning products and other spills that may cause slips and injury. Clear all traffic areas of cartons, plastic wrap and other debris that may cause accidents. Provide a warehouse safety program that fits your needs. Make certain all warehouse employees attend this program before they begin work. Choose a classroom or online program. Many online programs offer archives, so you can view programs a second time or on demand. Some companies have developed their own safety programs. If this is the case, you may need to work with the Human Resource office to coordinate safety training. Mandate driver and operator training courses, along with vehicle and equipment safety courses, for employees who will operate warehouse equipment, such as forklifts, mechanical loaders, electric stackers, lifters and shrink wrappers. Verify that warehouse employees have attended the appropriate training or received proper certifications for vehicles or equipment they operate. Ensure that management, warehouse handlers and other employees wear hard hats, steel-toed boots, safety goggles and heavy gloves. Make sure employees are following any other mandates. If employees must wear hard hats in the warehouse, do not make exceptions. Mitigate accidents. Warehouse handlers often operate forklifts and other heavy equipment to carry, hoist, move, load and unload merchandise. Smaller companies may do these tasks manually with the help of hand trucks. Regardless of the size of your operation, accidents will happen. Plan periodic vehicle, machinery, equipment and loading dock examinations and maintenance in order to maintain safety and prevent accidents. Ensure all safety features, including lights, vehicle reverse sensors and warning beeps, work properly. Report all vehicle defects and equipment malfunctions. Oversee necessary repairs and test equipment before returning the item to the warehouse floor. Interview potential employees for warehouse positions. Be sure the appropriate supervisor participates in this process. He will know whether the applicant possesses the required skills and necessary experience. Give praise for good performance, highlight strengths and reward good performance and behaviour. Identify weaknesses and bad behaviour. Make suggestions and recommendations for immediate improvement. Follow up with the employee to discuss the steps taken to correct or improve areas of performance or behaviour. In this a summary of the key findings and discussion about the attained key findings is provided. It also expresses the final conclusions which were developed on the theoretical, practical work and the analysis part of the internee work. The purpose of this internee work is to give an overview and to understand deeply the concept of “Warehouse Management”, which is defined and interpreted in theory and practice. In order to get an overview, both theoretical and practical work is conducted. The theoretical study is conducted by carrying out a research work on relevant literature through textbooks, scientific articles, internet etc. In the practical work, I investigate the present state of the warehouse management and examine whether the case companies utilize the practices that the literature points out based on theoretical background. The practical work is implemented by working on COATS Bangladesh Limited (Warehouse). The present cases are facing some problems in the labour management in the warehouses. This can be due to the lack of knowledge in managerial skills. These can be eliminated only by giving a rigorous training for the employees in order to reduce the human errors in the system and also manage the resources and man power efficiently. Even though, there are enormous numbers of technologies available in the market, the companies are still hesitating to upgrade their warehouses due to the fear of high initial costs which are incurred due to the up gradation. The warehouses are playing a safe game by implementing some new technologies but not completely switching to the modern warehousing concept which is also called the paperless system. They are carrying on with the traditional warehousing concepts but at the same time improving some areas where there is a need to do so.